One of the enduring highlights of Alpha-N Performance’s program for the M2 is the tuner’s decision to install an in-house designed, fully adjustable, carbon-fiber rear wing. The wing is complemented by a new splitter that’s been integrated into the M2’s front splitter. 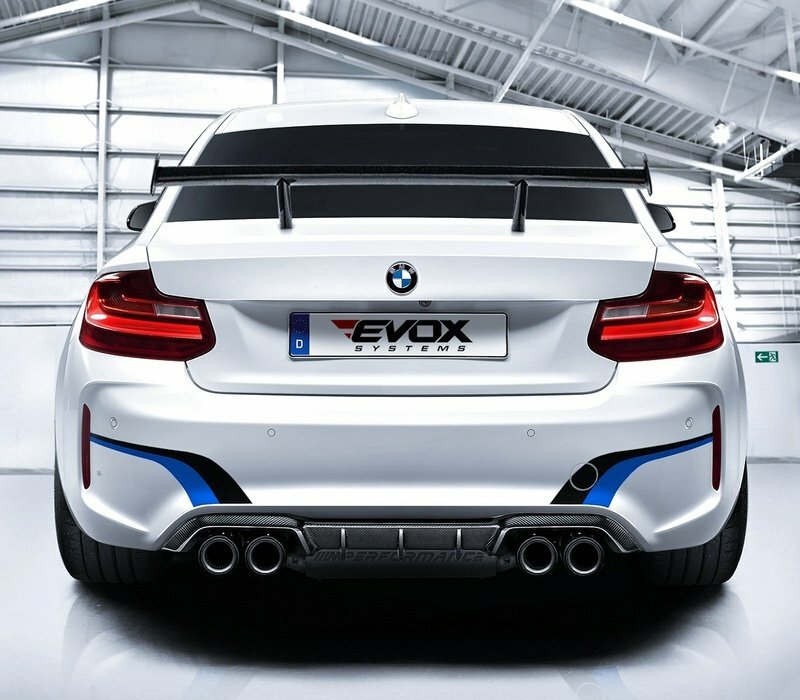 Interested customers can also opt for a rear wing that’s been designed in the vein of the one sitting on the M4 GTS or a Racing-Style M235i Motorsport wing. The tuner also announced that M4-style carbon fiber components are also on the docket. Rounding out the exterior upgrades is a new set of 19-inch OZ Racing Ultraleggera HLT alloy wheels that are wrapped in 245/35ZR19 and 265/35ZR19 tires in the front and rear, respectively. Yes, there are interior upgrades here, representing a new offering for the M2. 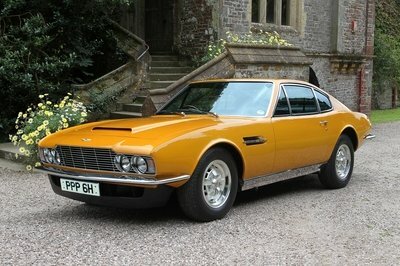 The modifications are not extensive by any means, but they are good enough to be noticed, especially the options to have an Awron dashboard digital display, as well as sports or race seats. The unquestioned highlight of this tuning kit is the three-stage performance upgrade that Alpha-N Performance prepared specifically for the M2. 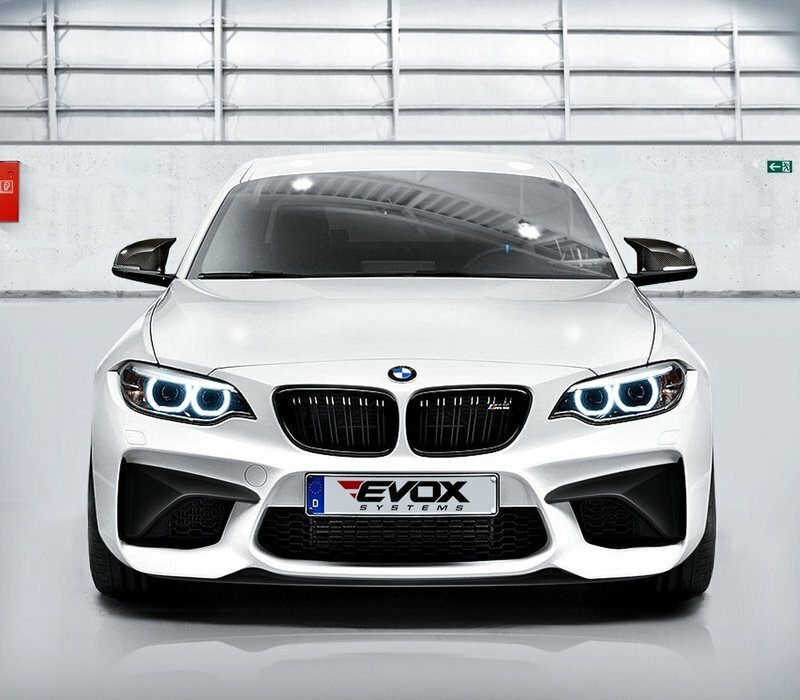 At the backbone of these upgrades is the tuner’s EVOX performance program, which is largely responsible for bringing the M2’s output from the standard 370 horsepower and 343 pound-feet of torque to either 400 horsepower and 438 pound-feet of torque (Stage 1), 415 horsepower and 443 pound-feet of torque (Stage 2), and the range-topping 430 ponies and 457 pound-feet of twist (Stage 3). Speaking of the Stage 3 upgrade, this specific kit also gets the added bonus of having a racing downpipe without a catalytic converter and a free-flow silencer with throttle control. The tuner didn’t announce the resulting performance capabilities from these programs, but given the similar net gains derived from other programs, a sprint time to 60 mph in under four seconds and a top speed of about 190 mph on account of the removal of the electronic speed limiter are likely in the cards. 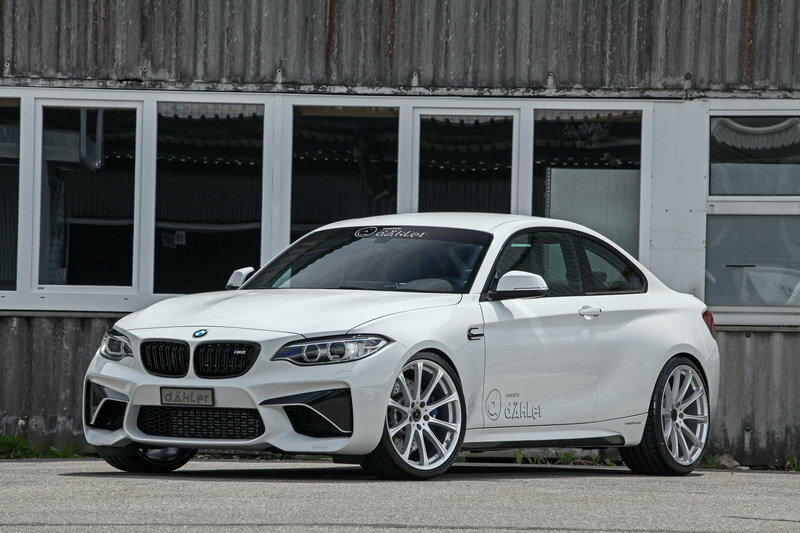 To accommodate the engine upgrades, Alpha-N Performance is also offering Öhlins’ fully adjustable Road & Track coilover suspension, which helps drop the M2’s ride height to give it a more aggressive stance while also improving the car’s overall chassis dynamics. The tuner also has an adjustable camber plate set, but that particular add-on is still in development. There are no indications of price from Alpha-N Performance, which means that interested customers will likely have to inquire from the tuner directly to get a price quote. 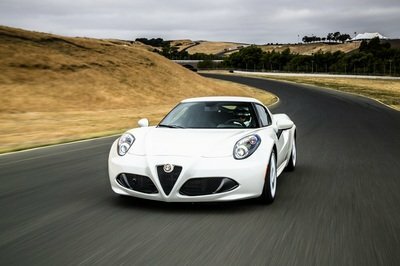 It is worth noting that the fitting, set-up, and documentation of all the upgrades are going to be done in the company’s headquarters in Germany so if there are U.S. customers lining up to avail of the kit, make sure that the logistics are in place for Alpha-N Performance to be able to work on those M2s. 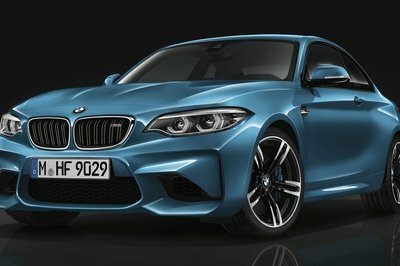 Multi-stage kits have become the rage these days, and that’s especially true for programs involving the BMW M2. 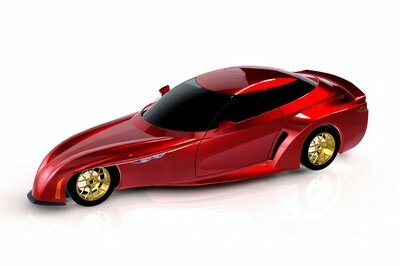 Just last month, Swiss tuner Dähler Design & Technik GmbH presented its own kit for the M2 that revolves around a similar four-stage kit that nets output levels of 408 horsepower and 442 pound-feet of torque (Level 1), 430 horsepower and 464 pound-feet of torque (Level 2), 450 horsepower and 487 pound-feet of torque (Level 3), and 531 horsepower and 538 pound-feet of torque for the range-topping engine swap program. The results of the swap helps the M2 sprint from 0 to 62 mph in less than four seconds to go with a top speed of 199 mph. Manhart Racing’s MH 630 kit for the BMW M2 doesn’t involve stages, but it does come with its own engine swap similar to what Dahler did with its own kit. 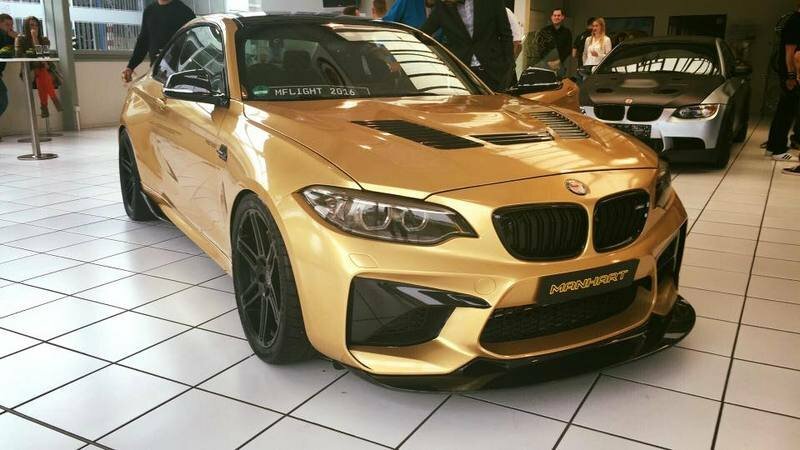 Manhart Racing took it a step further by performing a similar engine swap to the BMW M4’s N55 engine and then tuning it afterwards to net an output of 630 horsepower and somewhere around 650 pound-feet of torque. These numbers are much higher than what Alpha-N Performance and Dahler were able to get out of their respective kits and it shows in the performance numbers as Manhart was able to coax a sprint time to 60 mph in under four seconds to go with a top speed in excess of 200 mph. As I said, nobody will look at Alpha-N Performance and say that it has the most powerful engine upgrade in the world. Other tuners provide more than what it can offer. 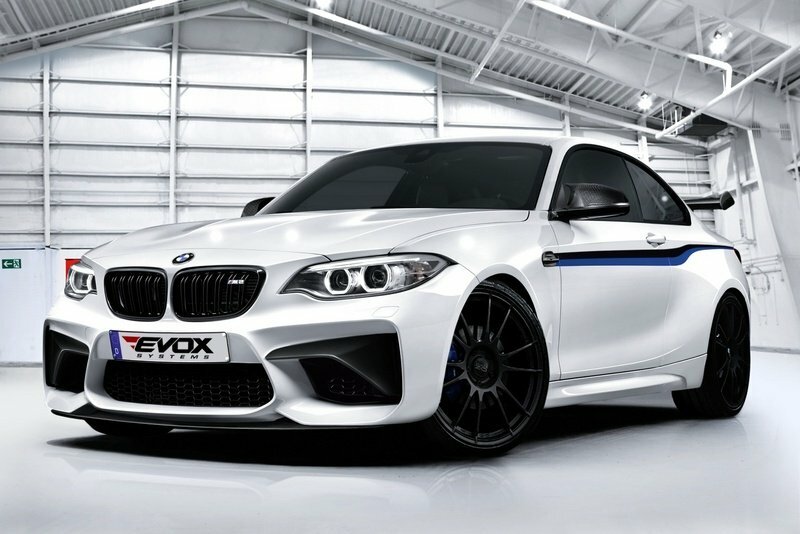 But that’s not why the German tuner’s kit for the M2 is appealing. It works because it provides an extensive refinement of the M2’s overall makeup without going overboard in doing it. 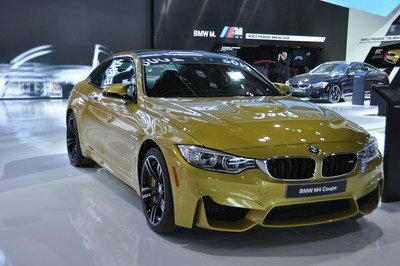 From the exterior, interior, engine, and all the way to the wheels and suspension, the German tuner made sure to pay attention to all of them, and in doing so, it was able to create a tuning kit that addresses the needs of each section of the M2. Logistics could be an issue for potential customers in the U.S.